In one word you can say Online shops. Whether you are a one product company or a have a product catalogue that runs to thousands of items, we can provide a shop that respects your brand identity, invites users to enquire and purchase. This covers Catalogue management, Process Management, Payment Gateway Integration & Security. 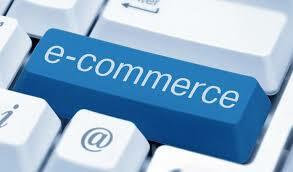 We Provide “a complete branded” Online E-Commerce Online Store. You Just Simply add your Products and Start Selling Online and Make 100% Profit by yourself. At backend admin panel you can Add Categories, Product Details, Images, Options, Descriptions, Photos, Informations & even you can configure Multiple Payments and Shipping Options and also you get complete Sales Reports, Order Management, Customer Management and Fully Inbuilt SEO Optimized Website.